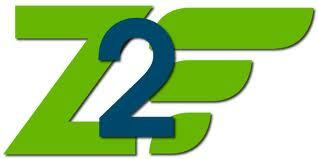 Zend Framework 2 has Zend\File\Transfer component that can provide file transfer need for our application. We can add Files validator and pass error message to Zend\Form component object, that can be retrieve by view if process was failed. We can add another validator instead of Upload validator that registered by default in Http Adapter. The price of flexibility in Zend Framework 2 often push us to setting all ‘manually’. We have to be a creative person, right ? In this post, i want to present you my greatest post ! Simple, but very important because it can reduce your code redundancy in setting up DbAdapter to Your Table Class. In most of applications, you often need to set something that happen in all whole application. It can be global authorization like your ACL depend on the module/controller/action that accessed. In this post, I will show you the trick. Zend Framework 2 has a component named Zend\Db that can simplify a way application interact with database. If you just has one table, you don’t need Sql statement, but if you have many, you need this. With Sql object, your paradigm of Query will be changed to Object Oriented Paradigm. ZendDeveloperTools is a Module for developer and debug tools for working with the ZF2 MVC layer. It can show you a request method, response code, current controller/action, current route we access, execution time, memory consumption, grab the profiler of Zend\Db adapter instance, and Zend Framework version you currently use.